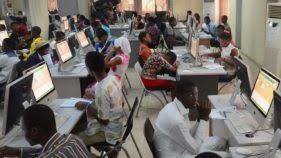 JAMB to watch CCTV examination footages in bid to sanction cheats – Royal Times of Nigeria. 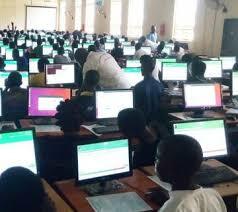 The board’s Head, Media and Information, Dr Fabian Benjamin, said in a statement today in Lagos that such will enable it to detect where there are actually examination malpractices. According to Benjamin, where there is any semblance of irregularities, the board will not hesitate to sanction the cheats. He also denied messages being circulated that the Senate has passed a bill urging the board to add extra forty marks to candidates. Benjamin, who noted that the board’s examination is not a ‘fail pass’ examination but a selection examination, stated that it will be absolutely wrong for mischief makers to conclude that there is mass failure.